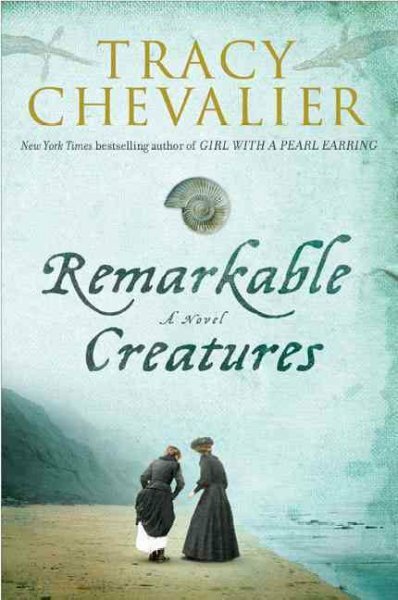 It certainly helped that Remarkable Creatures is historical, as history is one of my main interests, and the substantial dose of science made the book more appealing for me. I liked reading how fossils would have been discovered, collected, preserved, and studies in the early part of the nineteenth century. I also enjoyed the early women's rights movement part of the story. Mary Anning and Elizabeth Philpot are characters with who I sympathize, and I was glad to learn at the end that they were real people. Of course, not everyone see things as I do. 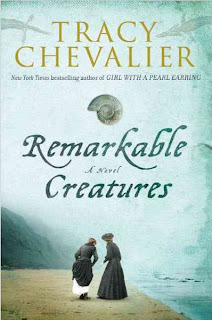 One member of the discussion group wished all the science had been cut by the author, but I don't think Chevalier would have had an interest in the story without the fossils and the issues of religious men of science accepting the idea of evolution. It appears that all her stories revolve around the history of women in the arts and science. Her novels might even make good listening for this summer's gardening if my supply of history and biography runs dry again. Chevalier, Tracy. Remarkable Creatures. Dutton, 2010. 310p. ISBN 9780525951452. This sounds absolutely fascinating. It holds some of my favorite elements. I am not sure about the science portion, but it is not something that would prevent me from giving it a try. I appreciate your mentioning the necessity of the science. I hope I feel the same way. Thank you for your review.